(West Chester, PA – Sept 28, 2018): To mark the Community Foundation’s 25th anniversary, the Super Door Opener Award is being bestowed upon two outstanding individuals. Louis N. Teti, Esq. of West Chester and L. Peter Temple, Esq. of Kennett Square are being recognized for their distinguished efforts in opening doors to legacy philanthropy. A partner at MacElree Harvey in West Chester, Teti represents individuals and businesses in a wide range of estate, business succession and tax planning matters. He speaks frequently on estate planning, tax planning, estate administration, and philanthropic planning. Teti serves on the Board of Directors of Bishop Shanahan High School, and he is currently Chair of the Planned Giving Committee at Paoli Hospital. He is a Fellow of The American College of Trust and Estate Counsel. Teti has been named to the PA Super Lawyers list every year since 2005, and he has been consistently named one of the Main Line Today’s Top Lawyers. 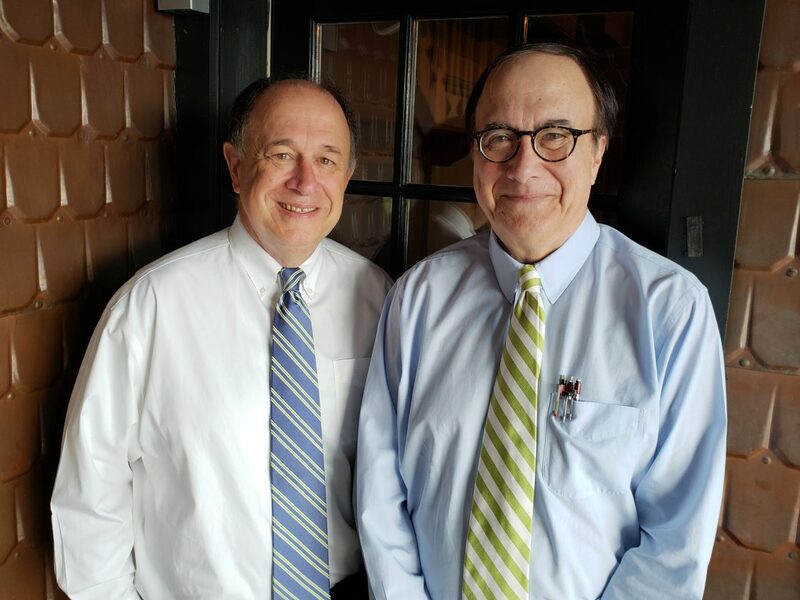 Teti has served as President of the Pennsylvania Bar Association and the Chester County Bar Association, and he is a past Chair of the Disciplinary Board of the Supreme Court of Pennsylvania. He has also served as Chairman of the Pennsylvania and the Chester County Bar Foundations. In other volunteer leadership capacities, Teti has served as Chair of the Board of the Chester County Community Foundation, as well as Chair of the Board of the Paoli Hospital Foundation, where he continues to serve on the Board. He also served on the Board of Trustees of Malvern Preparatory School for nine years. L. Peter Temple, Esq. is a partner at Larmore Scarlett in Kennett Square. A member of the PA and the Chester County Bar Associations, he has been noted in Who’s Who of American Law, and Who’s Who of Executives and Professionals. Temple has served on the Board of Directors of the Chester County Bar Association, and as President of the Southern Chester County Chamber of Commerce and Chair of the Board of the Community Foundation. Last summer, he was named an Emeritus Board Member of the Community Foundation. Temple consistently makes enduring philanthropy connections while serving as an ambassador on behalf of the Foundation, constantly opening doors to legacy philanthropy. Teti, Temple, and other distinguished community members and organizations will be honored at the Community Foundation’s Annual Meeting on Monday, October 22, 2018 at Uptown! Knauer Performing Arts Center. The meeting begins at 5 p.m, with receptions immediately before and after the program. To RSVP and commemorate the 2018 honorees, contact the Community Foundation at (610) 696-8211, events@chescocf.org, or www.chescocf.org. (left to right): Lou Teti Esq. and L. Peter Temple Esq.